I’m a huge pad Thai fan, I always order it in Thai restaurants and I’ve made it myself lots of times. I decided to try out my new Spiralizer and create a variation of the dish by replacing the traditional rice noodles with ‘zoodles’. 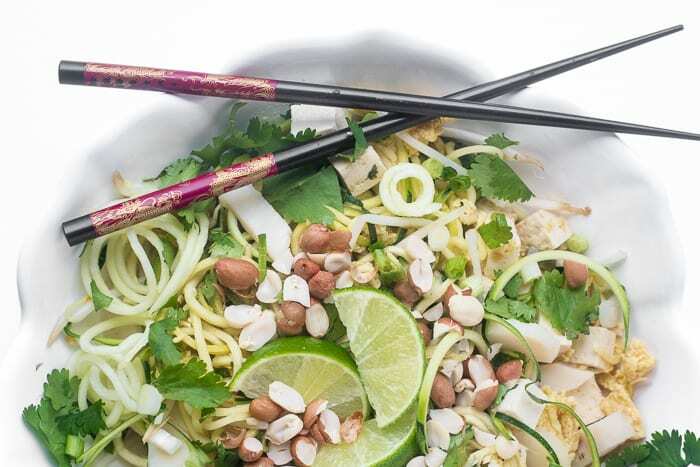 I just loved the result, and to be honest I couldn’t really tell much difference between the zucchini and the noodles, this version tasted exactly like my favorite pad Thai. 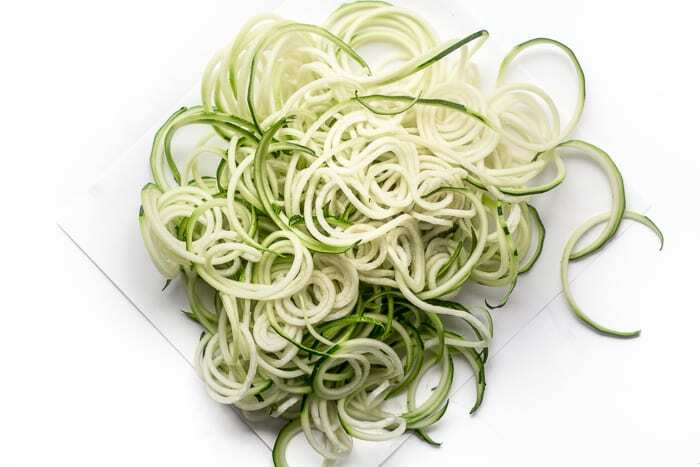 I resisted getting a spiralizer for quite some time, but I think all this super hot weather made the thought of veggie noodles sound really enticing. It took me just about a minute to get a big pile of bouncy ‘zoodles’ and to fall in love with my new kitchen toy. The zoodles were surprisingly long and resilient — I think I expected that they’d be watery and so delicate they’d fall apart, but it’s just the opposite, they look and behave just like regular noodles! We ate this as a cold salad, and also as a hot dish and loved it both ways, the zoodles hold up well in either case. 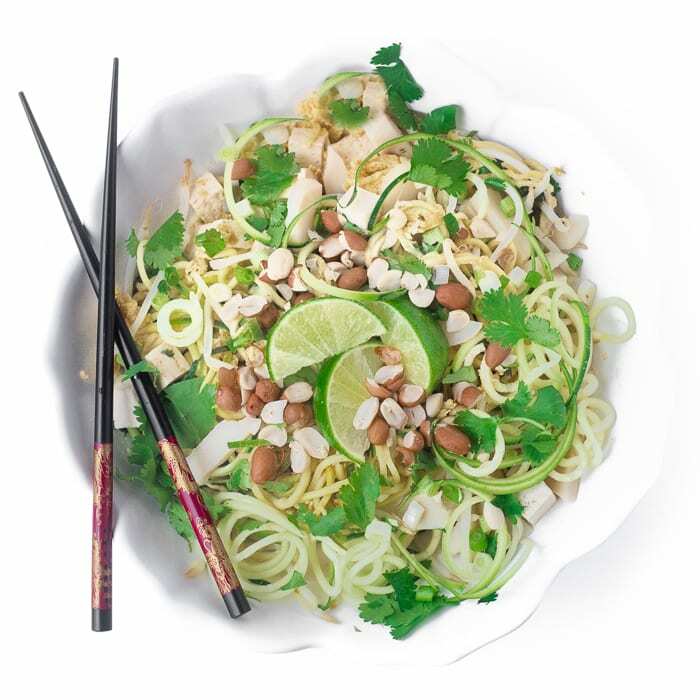 A refreshing combination of lime, ginger, garlic and cilantro, along with fish sauce and soy sauce forms the pad Thai flavor base. Mine gets a dose of protein from the tofu, and a great crunch from bean sprouts, water chestnuts, and roasted peanuts. See my Spicy Pad Thai for a classic recipe that uses rice noodles, and my Pad Thai recipe for one that includes chicken. They’re all great in their own way. I just barely heated the zucchini noodles through in the wok before taking it off the heat. They can wilt quickly, and I want to retain a little bit of their texture. Fish sauce is a fermented sauce that really gives pad Thai its authentic umami flavor, you’ll find it in the Asian or International section of your store. For a vegan version, use soy sauce. 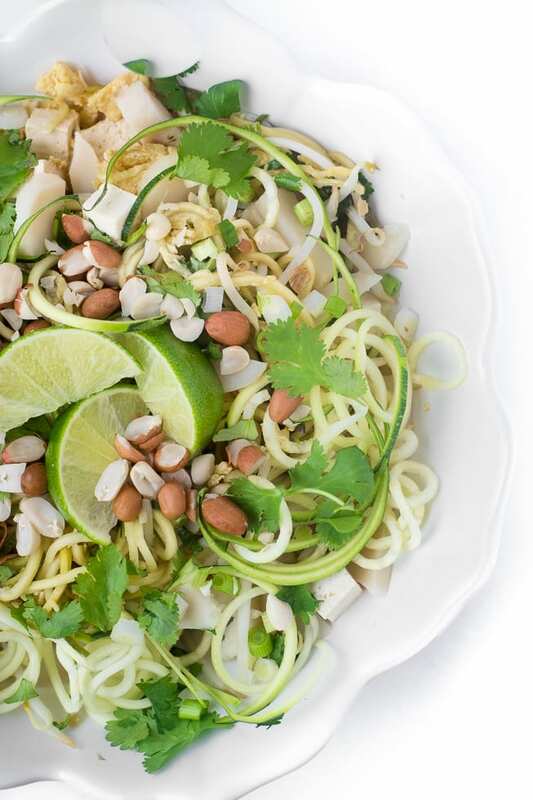 The Best Gluten Free Spiralizer Recipes! Looks and sounds like a beautiful dish. I love these Thai flavors! This is just the salad I crave on hot summer nights :). This is my kind of eating! It looks so fresh, vibrant and full of flavor. I love my spriralizer though I forget to pull it out sometimes. LOVE this, Sue. And I thought the zoodles would be kinda mushy, too. What a great surprise and I spiralize everything I can get my hands on. It makes the ordinary look special as well. I’ve never made Pad Thai Salad at home…crazy! This will remedy that :) Happy 4th! I love my spiralizer. Mine is an OXO — inexepnsive, easy to store, pretty easy to use. Just a little effort. Great salad,Sue. Sounds very healthy and looks amazing! I am kind of obsessed with my spiralizer and this is such a fun way to use zoodles! Can’t wait to try it! Beautiful dish Sue, love your pad Thai dishes, both ways!!! I have a spiralizer but have only used it a few times. Started a pin board to pin more recipes. Pinned this one. Have a wonderful 4th! Oh boy this looks great! 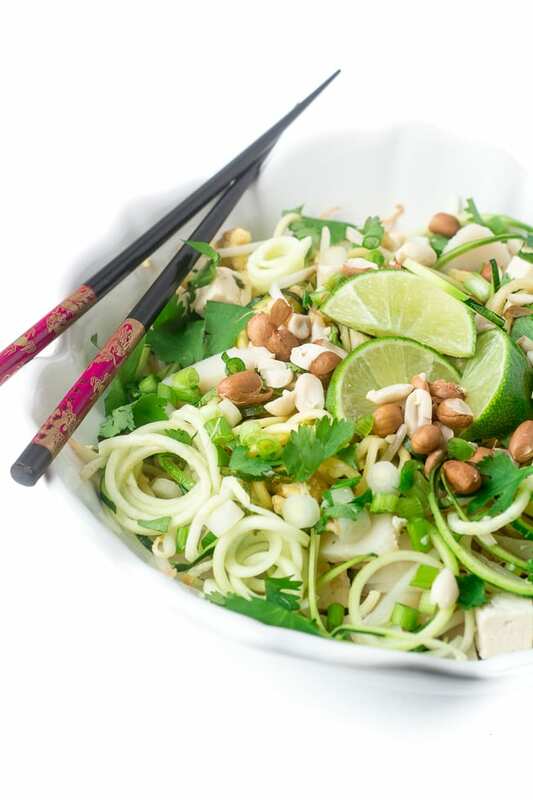 I love Pad Thai and my poor spiralizer has gotten lonely lately so I need to get it out for this recipe! Can’t wait for our zucchini to be ready to pick! What a pretty looking healthy salad. 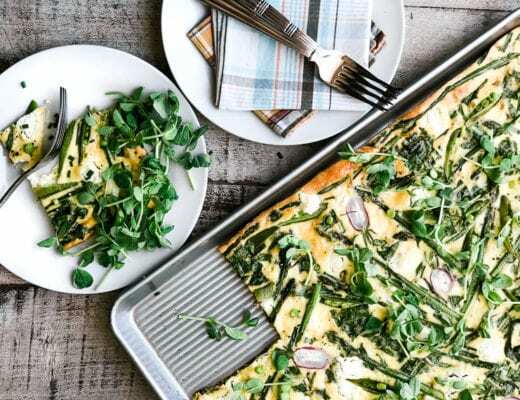 I love how easy it is to make and it would be a great work lunch too. How many ounces of tofu? 4 ounces, just updated, thanks Joanne. Thanks Sally, I’ll definitely check out your zoodle dish, it sounds great. 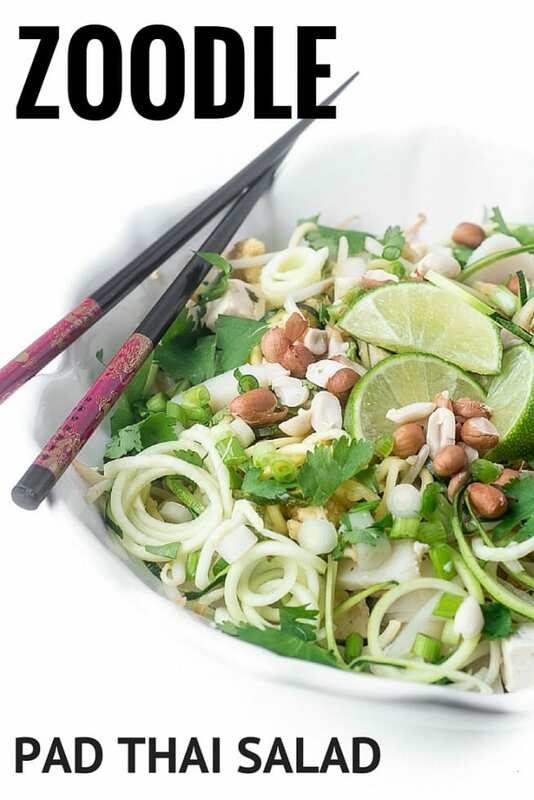 I know what you mean about regular pad Thai, depending on the restaurant the noodles can form a clump, but not with these zoodles, they stay nice and bouncy and fresh! 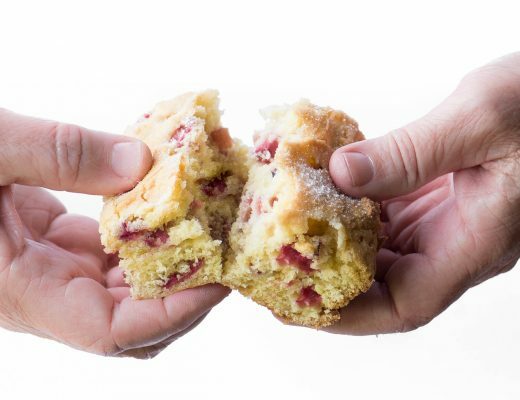 That’s a big YUM Sally! I love using my spiralizer, it is so much fun. Love trying new recipes using zoodles, so good and so good for you! I do love me some thai flavors. This is a gorgeous looking meal – looks like a winner to me. I resisted buying a spiralizer for some time too but I’ve just succumbed to temptation to so this is perfect timing! 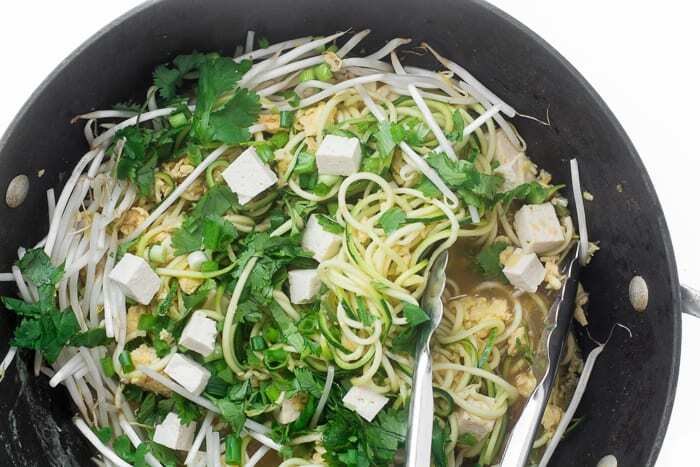 Love how you have replaced the noodles with zoodles – so much healthier! The flavours in your Pad Thai Salad are just beautiful and I can’t wait to try it. I feel like I’m the last person to get one, but I’m really happy I have it now, I think it’s especially good to have during the hot summer months. We love Zoodles in our home. 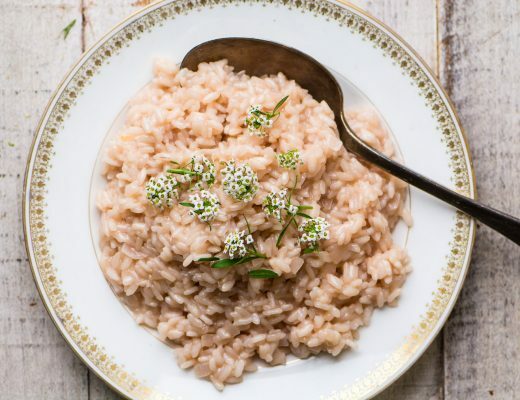 They are a great alternative to pasta and this looks delicious!